About the Author: Ritu Soni is a homemaker who could not build her career due to marital responsibilities. She shares how a virtual internship helped her launch her career after two decades of completing her education. I have always believed that women should be independent and able to earn their own bread; however, it took me 20 years to mirror this belief into my own life. I pursued Diploma in Fine Arts, but even before I could start my career, I got married. I gave birth to my first child one year after the marriage, and the thought of building a career took a downturn. My days were being spent managing the household chores and taking care of my daughter. 20 years passed away and quite a few things underwent visible transformations – my daughter was an adult now and mobile phones were not a luxury anymore, as a result of which, my afternoons were now spent playing Candy Crush. One such afternoon, my daughter raised a fairly simple question – ‘Mum, why did you stop writing poems?’. 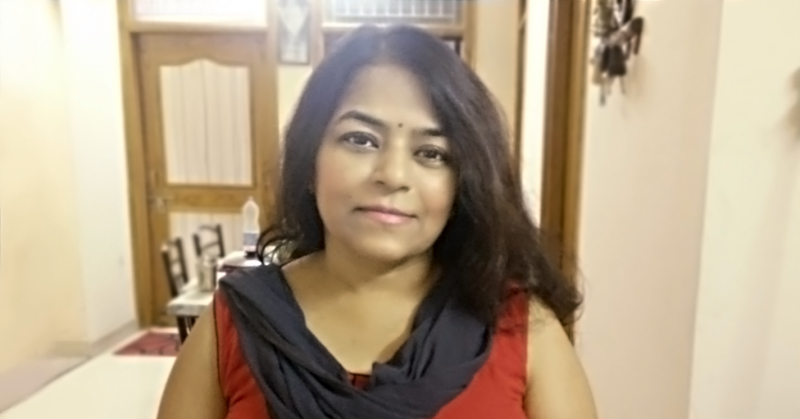 While contemplating the answer to her question, my life took a different course, and I ended up setting up my own WordPress blog, Jeevan Dhara, where I published my poems. The blog helped me follow my passion for writing and regain my lost confidence. However, my dream of being a self-dependent woman was still unfulfilled. While I was searching for ways to monetize my writing, my daughter introduced me to Internshala and the concept of work-from-home internships. The idea of earning money and gaining experience while working from home was novel but exciting for me. So, I applied to a few internships and landed a content writing internship at Sportskeeda, a sports magazine. As part of the shortlisting process, I had to submit a 500-word article on Sania Mirza in Hindi. During my internship, the team head would share 3 new topics with me on a Google Sheet, and I had to compose a 500-word article on each topic in a particular time frame. The flexibility of a virtual internship was an added perk in this stint of self-discovery. I would cook breakfast and lunch in one go and would work on my articles without having to worry about the household chores. What started as a way to earn money and become financially independent turned into a learning-packed journey. The editor at Sportskeeda helped me learn the nuances of professional content writing. A month passed by and I received my very first stipend, and the joy I felt cannot be described in words. Since then I have worked at multiple startups and have written a variety of content. For e-Khaliyan, I wrote articles on various government schemes. For another organisation called wenus.in, I wrote articles on health, beauty, and business. During these internships, I learnt the concept of SEO and the methods to enhance the visibility of an online article such as adding hyperlinks and using social media embeds. I would take this opportunity to encourage all the women who are caught up in the spiral of marriage and children to take out some time from their busy lives and explore career opportunities through internships to lead an independent life. Inspired by Ritu’s journey of standing on her own feet and becoming self-dependent? Apply to these internships for women and (re)start your career. Joining a company as an intern gives you the opportunity to work hands on in a professional environment. As an intern you’re not just there to get coffee or run errands but you’re there to gain actual work experience. Internships help by teaching you more about the career path you are pursuing. Think of it like this – internships are a way to test drive possible jobs and explore different career options.